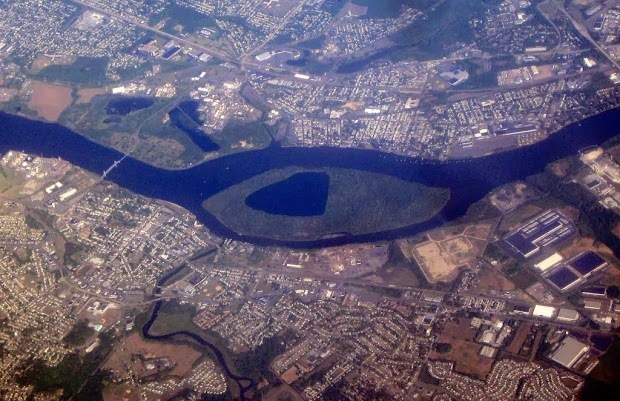 Burlington Island is a 300 acre island which was the location of the first recorded settlement in New Jersey and extends back to 1624. A noteworthy feature is the large lake-within-an-island-within-a-river. In the late 19th and early 20th Centuries, the island was used as an amusument park. Today, the site has been abandoned, however, many plans have been proposed for the island.